EthosCE Learning Management System Version 3.3 Released! We are pleased to announce the release of EthosCE Learning Management System Version 3.3. 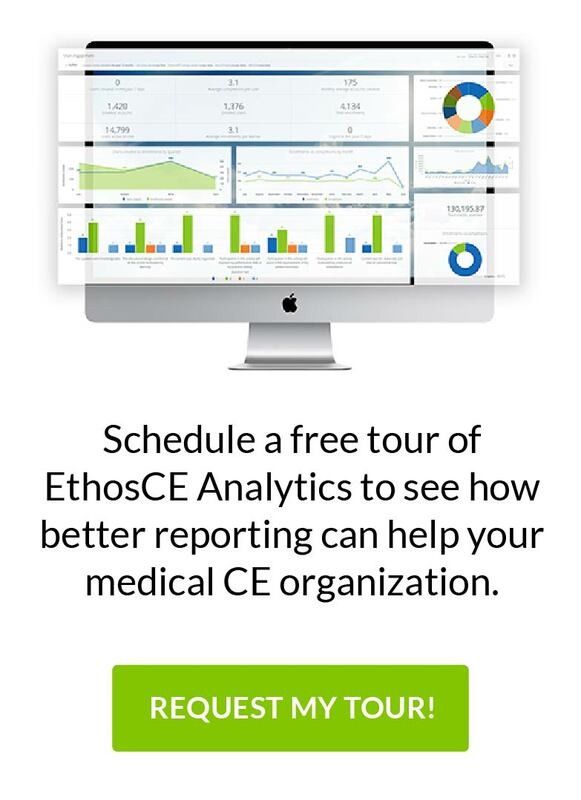 This new version incorporates a number of new and exciting features that are the result of our ongoing, strategic collaboration and partnerships within the CE community to further advance, streamline, and automate the management of continuing education. Below are just some of the new features found within EthosCE Learning Management System. As always, we are open to new suggestions for future features. Please contact us for additional information and to setup a product demonstration. A new, even easier, step-by-step course creation wizard with an optional expert mode. Mobile browser theme included by default. Responsive theme improvements for CE theme. Replicate or “Clone” an activity with one click and keep all ACCME PARS fields intact. Convert an activity from live to enduring with one click. Auto-fill ACCME PARS fields from course fields. Aggregated PARS report for all courses. Administrators can merge duplicate learner profiles. Improved pass/fail flag to better support instructor-led training. Email reminders based on enrollment date, expiration date, completion date, completion of any course object. Support for multiple course objects of the same type (e.g., assessments, surveys) within a single activity. Support for adding course components after certificate is awarded. Drag-and-drop re-ordering of course objects. Administrators can mark individual course objects as “Completed”. Administration menu cleanup – all the most common links are now in a single menu. Enhanced visual graphical reporting dashboard for individual activity.